Members of the GSS Bahrain team were recently recognised with Winning Hearts awards at a small ceremony in the Sitra HQ. 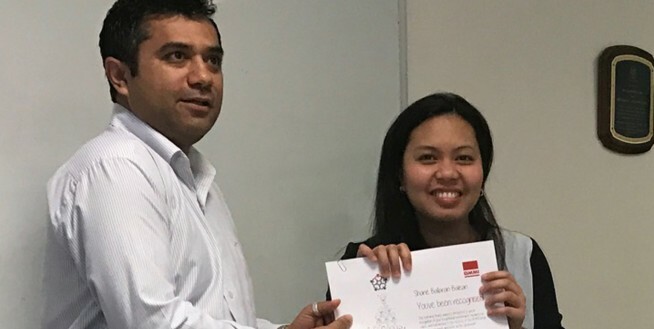 Not expecting to be awarded, Tareq Ahmed, Shane Balean and Sunil Kumar were called up and recognised for their hard work and efforts to ensure that the team pulled through, even with the absence of many key colleagues. 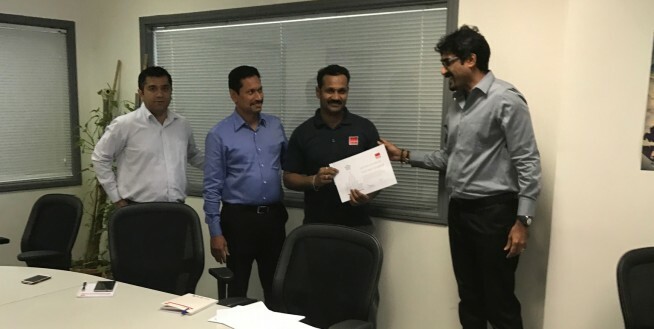 With Prasanth Reddy and Linda D’Rozario on leave, Tareq stepped in and carried out all the required procurement and logistics jobs for the team, without hindering his regular work. It was truly deserved and Tareq ensured everything was completed on time and correctly, with no complaints. Moreover, during the absence of many of their colleagues, Shane carried out all the required administration and human resources related jobs, on top of her daily requirements, making sure everything ran smoothly! “Both Tareq and Shane showed great commitment in making sure the work was carried out with utmost commitment and dedication,” said Madhu Menon, GSS Bahrain Team Leader. In addition, Sunil Kumar who works for BLS was under much pressure as one of his colleagues needed to take an emergency leave. With no one left to provide the division with regular logistical support, Sunil stepped in and carried out all the required deliveries, both standard and emergency, without getting in the way of his regular work. Well done to you all! Keep up the great work!